One year ago we made RPA free for individual users, education projects and small to medium businesses. UiPath Community Edition has been a great success, and our Community Forum now hosts a growing number of several thousands RPA developers who passionately craft their way into the future of automation. In April, we proudly introduced the UiPath Automation Academy, the first free-of-charge, self-led online learning environment where anyone in the world can enroll and train to obtain a UiPath RPA certification. The best professions of the future are born today! UiPath Academy is meant to help you develop professional RPA skills that will capture the best opportunities in the RPA field. With our certifications you will be able to access new career paths, with a pool of jobs already in high demand today. Over 500 users have been already certified at the UiPath Academy in the first 4 weeks after being launched, and many more are expecting to become RPA certified professionals. “This investment will allow us to introduce the benefits of intelligent RPA to even more businesses around the world and remain at the forefront of a rapidly-advancing industry. We are making work more inspiring and effective for the people that drive our businesses and economies forward, and the potential that remains untapped for organizations is what makes this such an exciting market to work in”, Daniel Dines, CEO and founder of UiPath. The news was covered in main media outlets like: Techcrunch, VentureBeat, Bloomberg, Reuters, EconomicTimes and ZdNet. 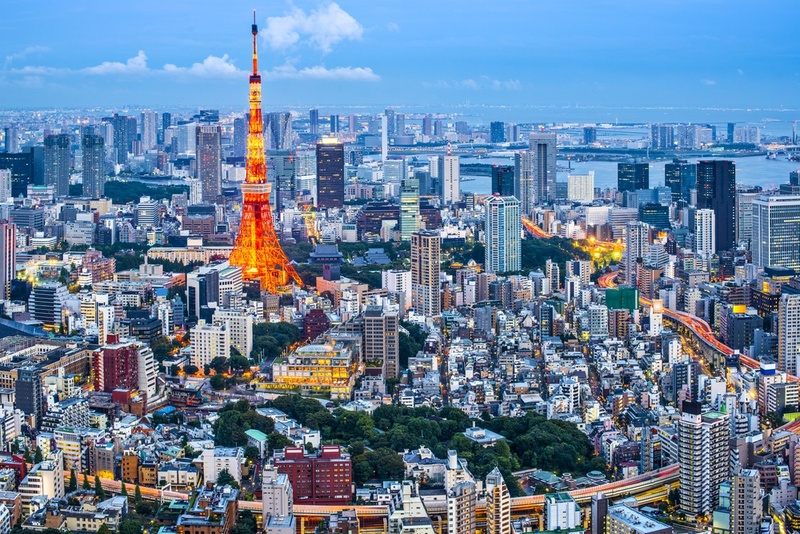 We’ve spread our wings and established our presence in Tokyo to further strengthen business in Asia. Expanding the opportunity to offer RPA services in one of the world's leading robotics markets, UiPath is the first RPA provider to establish a Japanese corporation. "The global RPA market will be 8.7 billion in 2024, It is predicted that it will reach $ 10 million dollars, and among them we believe that Japan will lead this trend. UiPath is one of the fastest growing RPA vendors globally and its growth will be further accelerated by the opening of this base in Japan. By establishing a Japanese corporation, we believe we can offer a wider range of services to existing and new customers”, Daniel Dines, founder and CEO of UiPath. On 4th of April, after announcing the opening of a Tokyo subsidiary, UiPath’s team and CEO approach Japan as a global priority at the KPMG AI/RPA Conference. UiPath's presence on the Japanese market opens new possibilities for local industries to automate using cutting edge technologies, with the benefit of of implementing through local Japanese staff. Nomura Research Institute makes its first attempt to automate post-trade operations using UiPath RPA platform. Starting April 2017, NRI will include RPA into their growing business to automate complex processes, as a response to their customers’ needs. If you have missed any, we have had a good selection of blog posts, whitepapers, interviews and articles. This month we learned about the benefits of RPA in the Healthcare Industry, discovered What's beyond RPA and discussed one of the most recent debates in today's business environment: RPA and The Internet of Things. We also talked about two big subjects in the automation world: extracting insights from Big Data with the help of RPA and How RPA Can Help Companies Rethink HR Tasks. On 9th of May UiPath joined the first RPA Congress in Italy. 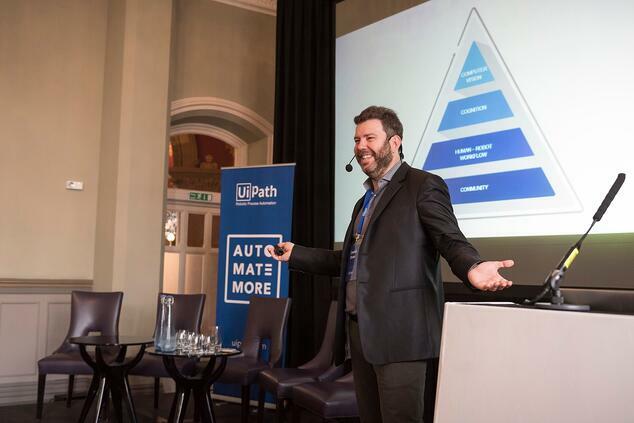 Here, Ian McGregor, VP of Sales EMEA at UiPath, debated over the future of RPA and how to increase efficiency, build lasting partnerships and create a competitive advantage in a more and more digitized business environment. Our Chief Robotics Officer, Boris Krumrey, was at the The AI Summit on 9th and 10th of May in London, UK. The 4th edition of the summit aimed to look at the practical implications of AI for enterprise organizations, on the verge of the 4th industrial revolution. We attended the Outsourcing, Automation & Innovation Seminar Series (OAISS) in San Francisco on 26th of April. Here Arjun Iyer, VP - Partner Management and Development at UiPath, discussed about how to evaluate the digital ecosystem and create a digital operations strategy, in a conference centered around creating: A Revolution in High-speed, Low-cost and Real Innovation. On 25th of April UiPath was at Abbyy’s Business Exchange Building Blocks for Digital Transformation in London, UK. In a tech oriented event, Abbyy and UiPath demonstrated one of the most requested additions to RPA: the automation of semi-structured and unstructured data. This event cements the ongoing partnership between UiPath and Abbyy, which involves combining both technology platforms to help companies automate complex processes, more quickly. Guy Kirkwood and other industry leaders discussed about the cultural shift brought by the advancements in cognitive RPA solutions, in the HfS webinar: Beyond RPA. On April 20 & 21, UiPath was present at the 8th edition of GIC Conclave 2017, NASSCOM Global In-house Centres Conclave 2017: Accelerating Enterprise Transformation, in Hyderabad. Boris Krumrey, Chief Robotics Officer at UiPath, spoke on the 1st day of the event, in the Tech Track session, when he unveiled the operational knowledge behind the adoption of cognitive AI technologies in an enterprise, highlighting the session’s topic: Artificial intelligence is the new black or are there more colors to it? UiPath participated at OPEX in Financial Services, 29 March, New Jersey, where Guy Kirkwood spoke about the future of RPA and its impact on financial services. The discussion was centered around the benefits of RPA in finance, touching subjects like compliance, reshoring and implementing cognitive and AI technologies to enable automation to a higher degree. Daniel Dines, CEO at UiPath, spoke about robotics in the age of demonetization in a discussion with Charu Narula for The Times of India. India’s recent removal of 500 and 1,000 rupee banknotes opens the debate on the importance of technology for financial inclusion and economic development. Guy Kirkwood talked about robotic opportunities for the UK Government recently after government’s launch of the Digital Strategy. The UK Government plans to adapt to societal change and become as responsive as the private sector to customer’s needs. “I want people to turn to digital public services as readily and confidently as they do when shopping, socializing or checking bus times”, John Manzoni, chief executive of the Civil Service. On May 15 - 18 Guy Kirkwook will uncover RPA's impact over outsourcing at the Shared Services & Outsourcing Week in Manchester, UK. UiPath will be joining the Digital Transformation in Insurance 2017 event, on 17th & 18th of May. The conference will take place in London, UK, aiming to bring together industry-leaders and discuss over the digital savvy competition currently threatening the industry. Meet the UiPath team at the Nordics RPA & Artificial Intelligence Summit in Stockholm, Sweden. On May 30 - June 1, the event will bring together those furthest along the maturity curve in automated and intelligent service innovation for a frank and open discussion surrounding the best ways to compete in the digital business era. Ready to join UiPath's RPA community? Our Community Forum hosts a growing number of useful contributions from independent users and aficionados. Join and engage with the others, look for support, find specific resources and share your ideas.